The largest crowd ever to have witnessed squash in Mumbai settled down to witness the two Egyptian gladiators who are great friends and competitors. Building on his form all week Fares Dessouky looked stronger as he led 7-3. 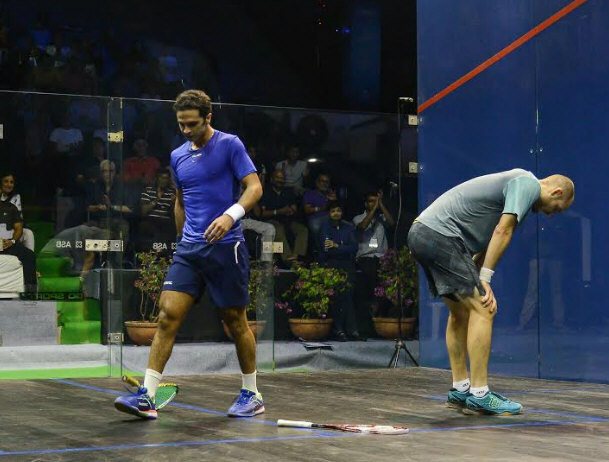 The calm Mohamed Abouelghar responded with a flurry of points to first level at 8 and then take the lead with a delectable drop. 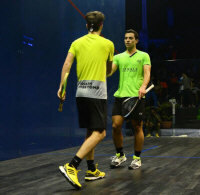 Three well contested points followed and each of them were won by Fares to give him the opener. Nothing to choose between the two as they played some well constructed points and engaged in some long rallies that were marked with precision. It was Abouelghar who won the longer points as he led 8-6 before Dessouky restored parity. 9-8 for Abouelghar followed by an unforced backhand error by Dessouky to bring up game ball. Another Abouelghar drop and it was one all. Edge of the seat stuff. Only standing room. Electric atmosphere. Great energy from the juniors. 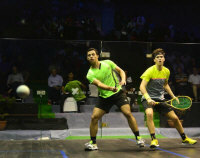 The Egyptian flag swaying in the arena Dessouky started asserting and stayed ahead impressively winning the crucial third. 11-6. In the fourth, more solid squash from Dessouky had him in front at 6-3 as the crowd got behind Abouelghar. It was working as Abouelghar pulled back winning one then two then three then four in a row. 7-6 Abouelghar. The crowd wants a fifth. Top quality from Abouelghar. Some sheer brilliance in the forecourt and he gets to 9-7 and then 10-7. Abouelghar plays another beauty and its two all. It's been an amazing squash lesson for squash players of all ages, shapes and sizes, gripping stuff. Dessouky gains the advantage early in the fifth and finds himself at 4-1 and then 5-3. 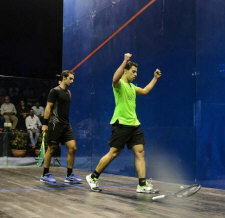 At 4-6, Abouelghar pulls one back only to be surprised at the next. 7-5 Dessouky Contentious call. Abouelghar allows himself to get upset. 8-5. One that sticks to the wall, 9-5. 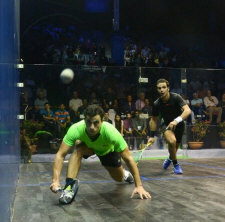 A fine cross court kill from Dessouky and an unforced error. 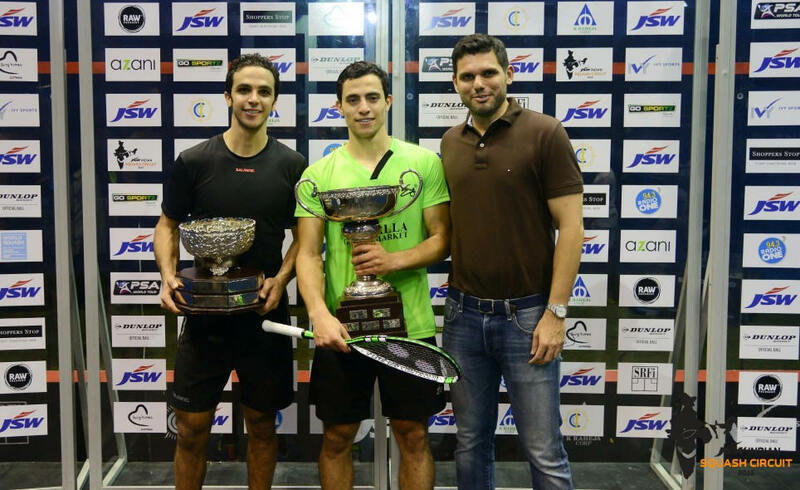 Dessouky is the champion, claiming his second PSA title, over three years after his first. 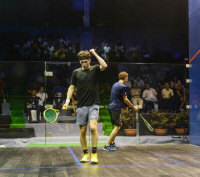 Despite Saurav Ghosal's exit last night a sporting Mumbai crowd showed up clocking the largest attendance of the week. In the first semi-final top seed Fares Dessouky took on English third seed Chris Simpson. A fairly tentative start by both players before they found their range and some immaculate length. 7 all and then 9 all as the juniors got a lesson in ' tight squash' Dessouky played a delicate drop to bring up game ball , only to have Chris respond with a brace of superb points to have a game ball himself at 12-11. The stronger Dessouky reeled off three in a row to take the opener. 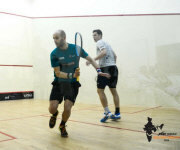 The second saw the Egyptian in control as he raced to 6-2 and then 9-3. 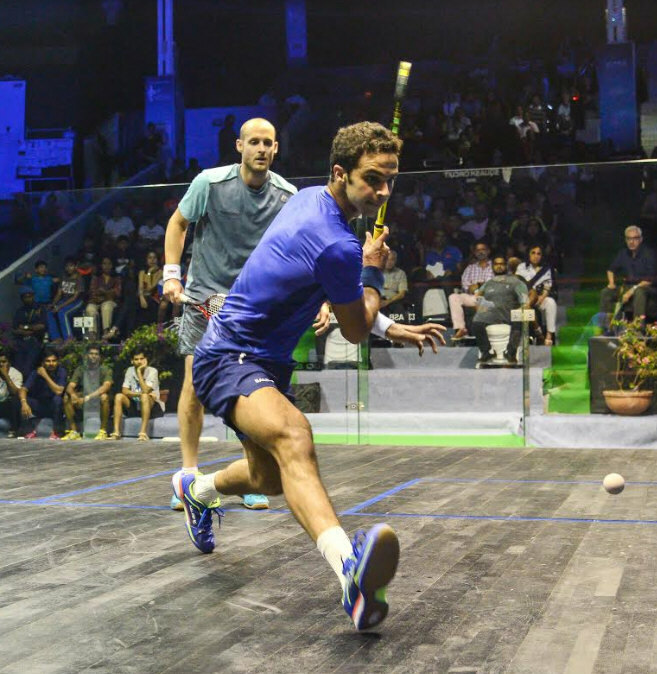 Amazing attacking by Dessouky as Chris fought on defending dourly, using the height to change the pace. Dessouky has all the answers to the questions being asked of him and soon led 2-0. The Englishman wasn't going away and kept at it. Another lesson for the juniors : Grit He led 6-5 before the top seed raised it a notch and closed it out at 11-7. A fine win for Dessouky who has been extremely impressive all week. Chris Simpson: In first I had a game ball, it was a 50-50 game and i lost that in long momentum. I has a massive lost of concentration i think and failed in the second because when the game was 50-50 where you cant lose your concentration for even 2 minutes at this level but i lost it. 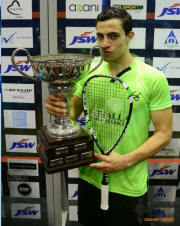 Fares Dessouky: Yes it was tough match, Christ was really good. I am sure we are going to have many upcoming battles in the series. I really enjoyed playing with him today, it was nice game. 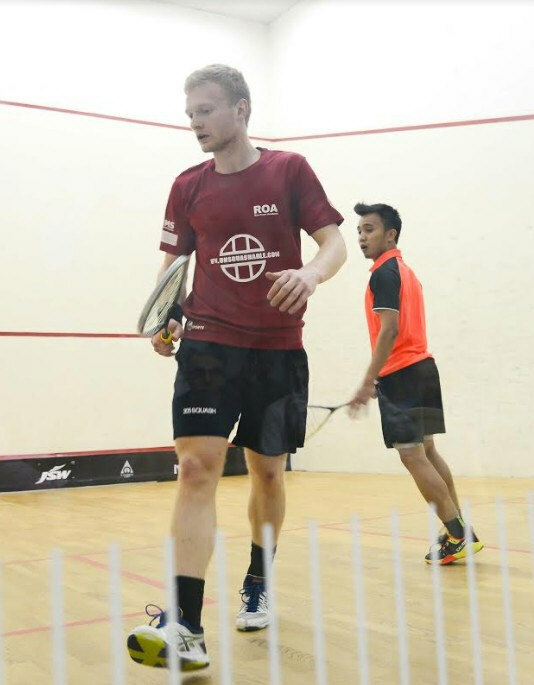 In the second semi-final Nicolas Mueller, who came from two games down to beat Ghosal, met second seed Mohamed Abouelghar. Mueller who was on court for 80 minutes last night stood in the way of an All Egyptian final but it was Abouelghar who looked a tad sharper as they began proceedings. Both played some razor sharp drops and the variation in pace was a joy to behold. 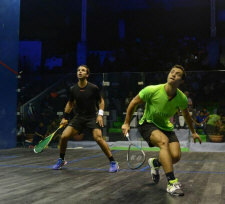 The young Egyptian had more in his legs as he moved effortlessly. 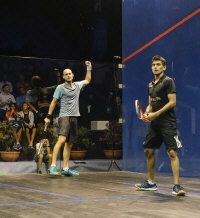 Muller controlled the game in patches and the crowd saw his fist pump as he won many engaging rallies. 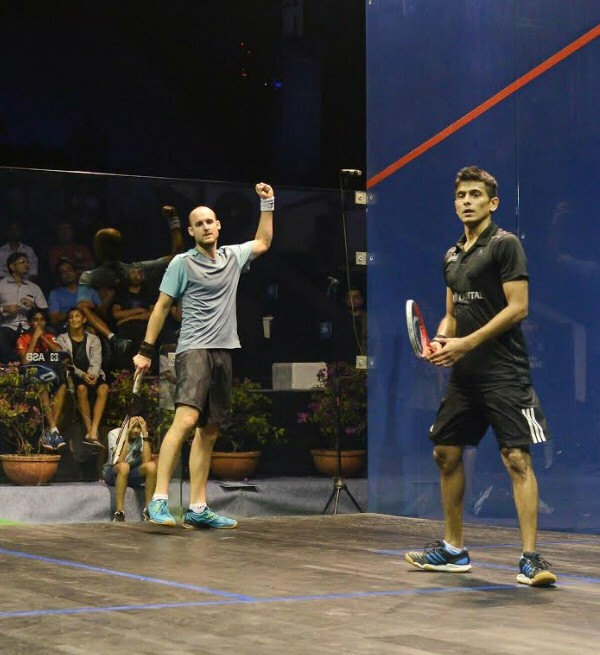 The Egyptian stayed ahead maintaining comfortable leads until the third when Muller called for a larger effort from himself and at 9-9 in the third the crowd clearly wanted a longer night and cheered Ghosal's nemesis. Cries of ' Cmon Muller' rent the air but Abouleghar completed a deserved win. At the post match interview Abouelghar shared with the crowd that he and Fares have played together for eight years and know each others's games well and hoped that they would give Mumbai a great final. Mohamed Abouelghar: I wasn't very comfortable today because Niki is a consistent player and if i give him any opening, he will for it and strike. So I made sure that I was sharp as much as I could. Nicolas Mueller: Abouelghar was too sharp today may be today I tried to sneak like yesterday but i guess it wasn't meant today. 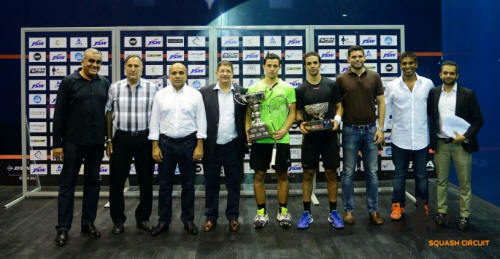 Abu truly deserved to win the match. Lots of jostling by the spectators to try and ensure seats for tomorrow's final which should be a treat. 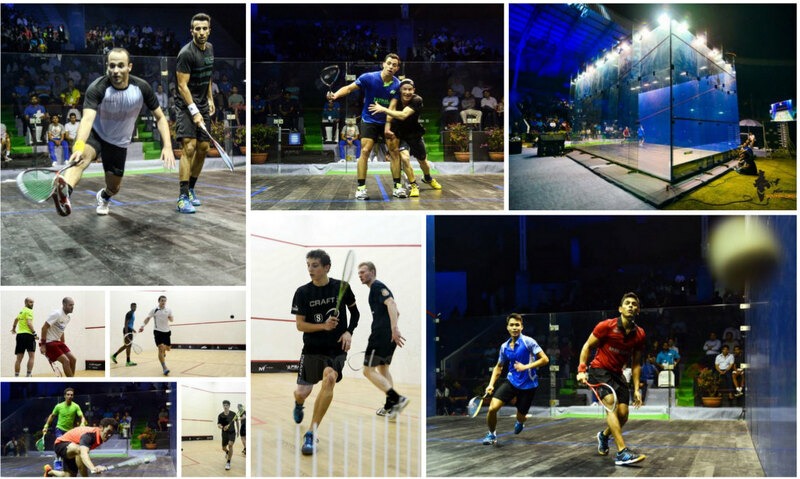 Action begins with some juniors from the CCI and JSW's squash academy before the Egyptians do battle. 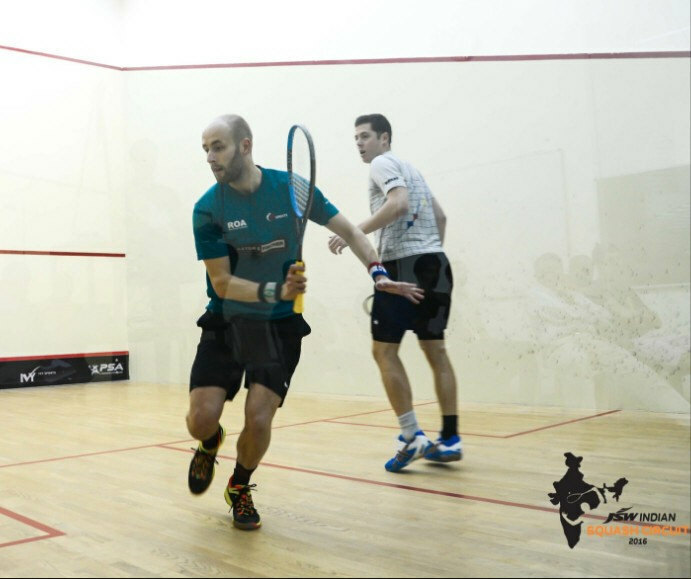 It was a fantastic day for squash in the city as a massive crowd witnessed some fantastic squash at the All Glass Court at the CCI International, the final event at the JSW Indian Squash Circuit. The top seeded Dessouky stamped his presence from the beginning and always had something in reserve as he dominated the first two games. The gritty Clyne battled gamely but the low dying length and the precision from Dessouky's racket was a huge differentiator. Clyne's obstinacy earned him the third game but it wasn't enough as Dessouky took his appointed place in the final. Simpson had played the longest match of the night yesterday. He clearly wasn't feeling the effects of that as he controlled the pace and had that much more variation than his younger opponent. The difference in the length and the width ensured that Simpson stayed ahead. The young Frenchman had his moments at the end of the third but Simpson's consistency gave him a deserved straight game win just under the hour mark. Egged on by some boisterous local support, Saurav looked composed as he took the court to the cheers of the crowd. Many juniors with their faces painted with the Indian flag screamed themselves hoarse as Saurav took a commanding 10-4 lead. The composed Muller pegged it back rather systematically to 9-10 before a beautiful volley drop gave the Indian the first. A very close second as they traded points before Muller led 7-5. Saurav levelled at 7. Muller pressed on for 9-7. A fantastic rally - perhaps the longest of the match - belonged to Saurav. He followed it with another well constructed rally for 9-9. Muller held the ball beautifully to inch to 10-9. A delightful cross court sent Muller the wrong way - 10-10. He now had his own game ball . A no- let for Saurav- 11-11. Nothing to choose between them. 12-12. A resurgent Muller came storming back to stamp his class in the third. Showing off some amazing strokes he raced to 11-2. The crowd had suddenly gone quiet. Muller carried the momentum to lead 3-1 as Saurav kept it tight to level. A delectable volley drop followed by a monster of a rally and Indian had 5-3. The crowd was getting the power in the lungs back as the decibel levels increased in anticipation of an Indian victory. 6-4, then 7-5. Muller wasn't done as he pumped his fist to draw even at 7. Saurav stayed consistent to move closer 9-7. The Swiss stayed strong 9-9. The quality was from the top drawer. Game ball Muller. An unforced error from Saurav and we were going into a decider. Change of shirt for Muller. Fresh instructions from Ritwik for Saurav. Muller raced to a 4-0 lead. The crowd willed the Indian on 1-4. Muller looked in charge at 5-1 but Saurav kept battling. Back to back winners and it was 3-5. Edge of the seat stuff. Traded the next two points 4-6. Muller 7-4. A controlled over head winner from Muller for 8-4 followed by an unforced error and Muller was within sniffing distance. Muller 10-5. Saurav saved one. The last winner from Muller's racket to complete a fine come from behind win. A disappointed crowd but they were treated to some vintage squash. Saurav had some kind words for Muller who richly deserved the win. In the last match of the night, one that came after the Muller Ghosal marathon - the crowd had thinned. A fairly large number of enthusiastic juniors were in the arena well past their bedtimes. 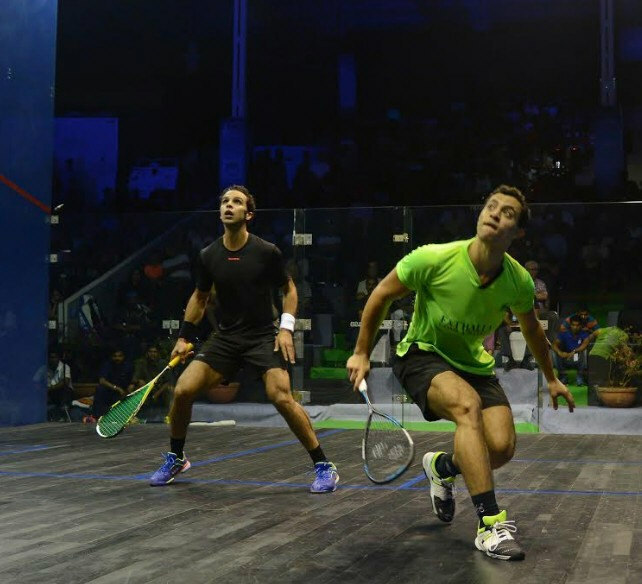 Abouelghar showed more urgency as he took the ascendancy. Reda, an experienced war horse showed some intelligent shot selection and creditably drew level winning the second over extra points. He came out with even more urgency quickly re-establishing his position on the T, winning the third rather handily. Abouelghar maintained the consistency to close the fourth 11-6, to take his spot with Muller in tomorrow's semi final Abouelghar paid tribute to his teammate saying he was one of the cleverest players on the tour and how he like other young Egyptians had learnt much from him over the years. Round One of the CCI Internationals in Mumbai saw all eight seeds, including home favourite Saurav Ghosal, through to the quarter-finals. 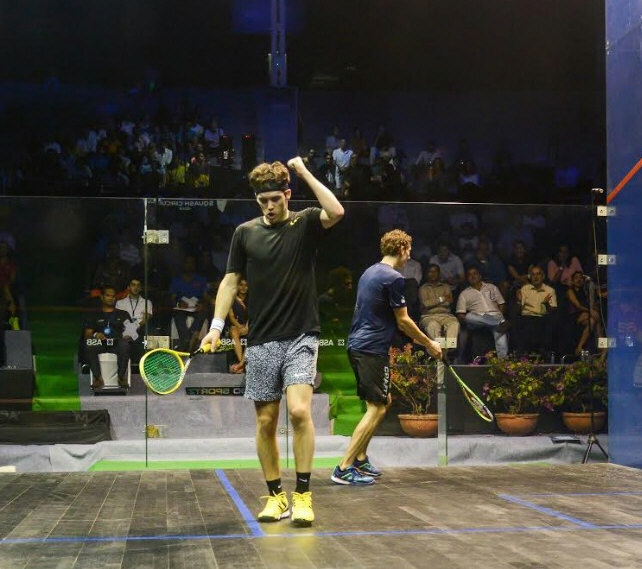 Qualifying for the 2016 CCI International concluded with wins for Jaymie Haycocks, Joel Makin and Ivan Yuen, and a walkover for Mahesh Mangaonkar instead of a much-anticipated all-Indian clash. This was supposed to be the most entertaining fixture of the night and large numbers of local players swarmed the courts in anticipation of a match up that was a repeat of the semi finals at the Indian Nationals earlier this year. It wasn't meant to be - Harinder who was clearly feeling his back during his laboured five game win yesterday couldn't take to the court. A series of Physio sessions over the last 18 hours wasn't enough and he had to pull out without hitting a ball. A disappointment for the Mumbai crowd. The Englishman was solid in his straight game win over Chris Binnie who started well before the greater consistency from Haycocks kept drawing errors. The reward for Haycocks was a Main Draw place against Nicolas Mueller. This one promised much but ended up as an anti climax. 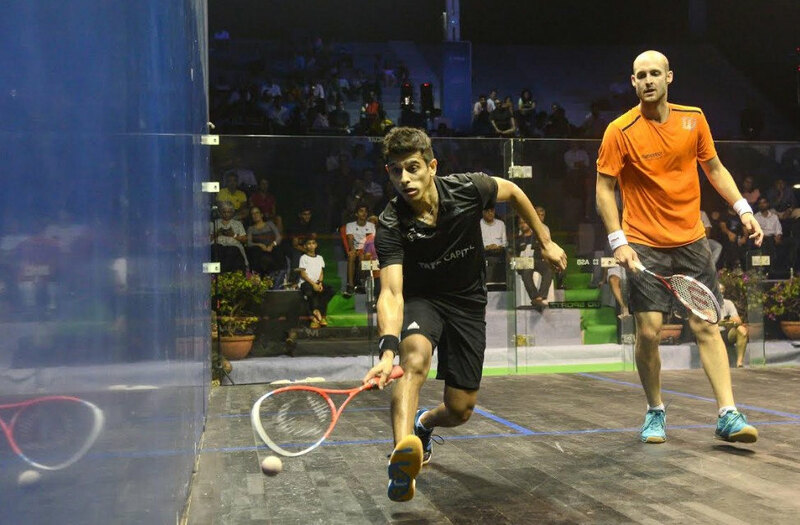 The gifted Egyptian has been to Mumbai before and familiar with the conditions. His attacking style is attractive but the crowd saw only glimpses of his obvious ability. The Welshman opened impressively as he dominated proceedings in the first two games. It seemed like he was in for an early night before the Malaysian responded to take a 6-0 lead. Idrakie kept the foot on the accelerator as he stemmed the tide by taking the third 11-1. With the wake up call Joel took charge again in the 4th as he led 7-2. And then 9-2 before Idrakie pulled one back. At 10-3 another tin from the Malaysian and Joel was through. He plays Lucas Serme. 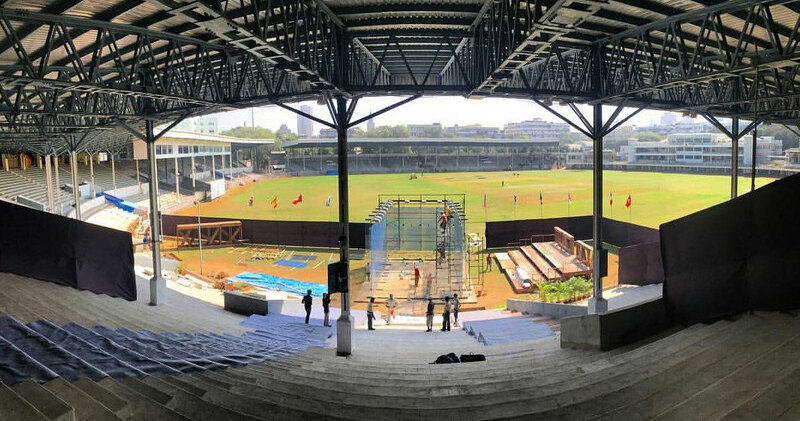 Action now moves to the All Glass Court in the Brabourne stadium where the energy in the arena beckons. Three Indians are in the Main Draw, fourth seeded Ghosal, wildcard Vikram Malhotra and qualifier Mangaonkar. After the huge success of its last tournament (Otters International JSW ISC 2016) the Indian Squash Circuit is back with BIG players and B-I-G-G-E-R action this week as it presents the CCI International JSW Indian Squash Circuit 2016 Men's Tournament at the prestigious Cricket Club of India (CCI) lawns, Mumbai from 22nd -27th Nov. 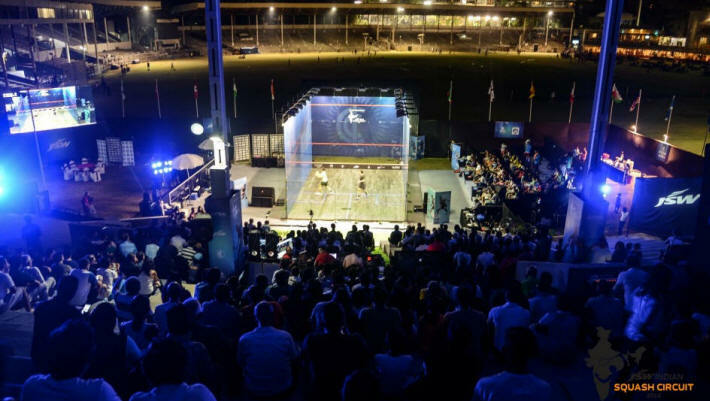 The $50k Men's Tournament promises to be a visual delight where some of the best in the world of Squash will sweat it out in the spectacular all-glass court - Thunderdome, being specially flown in and erected at the CCI lawns. 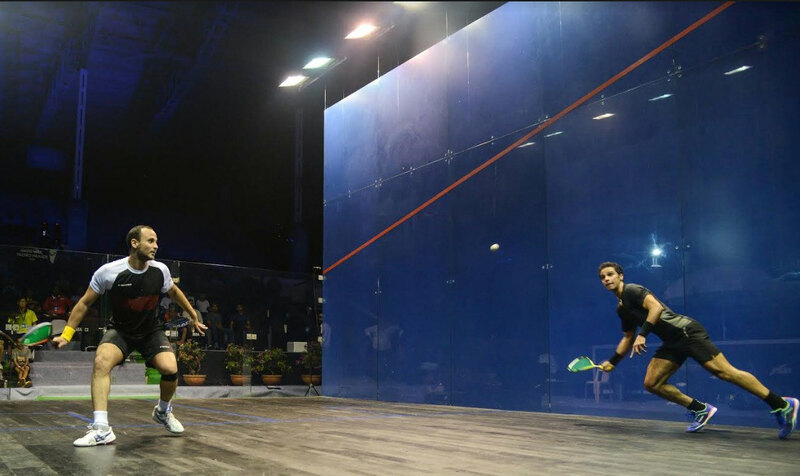 Earlier, such courts have been used to host big International tournaments at landmark sites like the Pyramids, the Grand Central Station, etc. 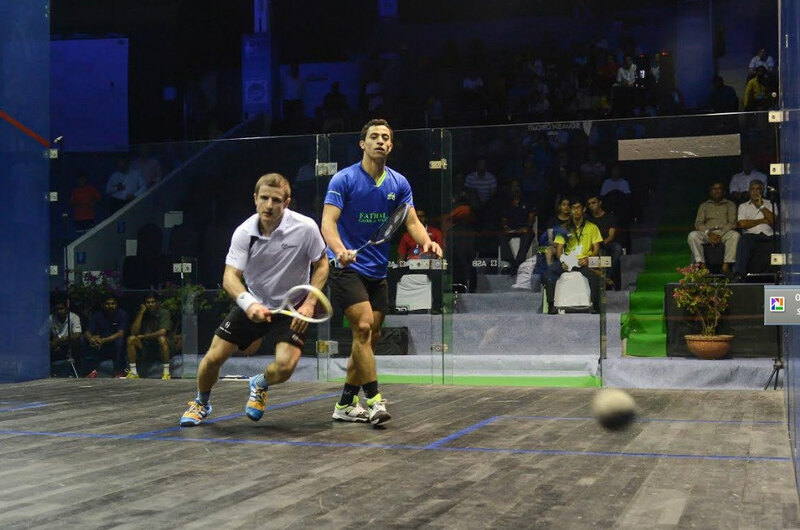 Supported by the JSW Group, The Indian Squash Circuit takes a step forward with the CCI International. The Associate sponsors include K. Raheja Corporation, 94.3 Radio One and Shoppers Stop. 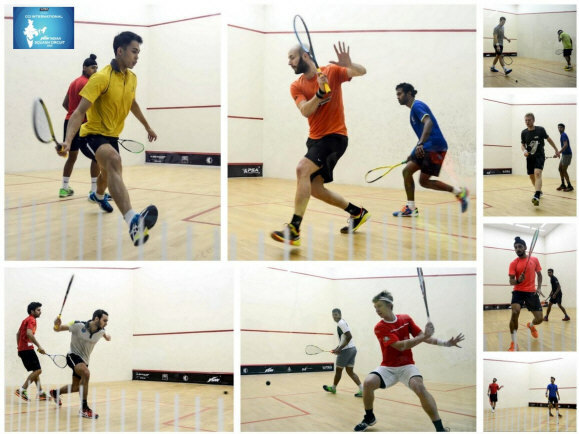 It will feature some of the top ranked players of PSA World Tour - Fares Dessouky, Mohamed Abouelghar from Egypt; Chris Simpson (Eng), Nicholas Mueller (Sui), Alan Clyne (Sco) with the Indian challenge being led by Saurav Ghosal and Harinder Pal Sandhu among others. In line with the Indian Squash Circuit's endeavour to promote the game with a larger audience, the entry to the tournament is completely free. 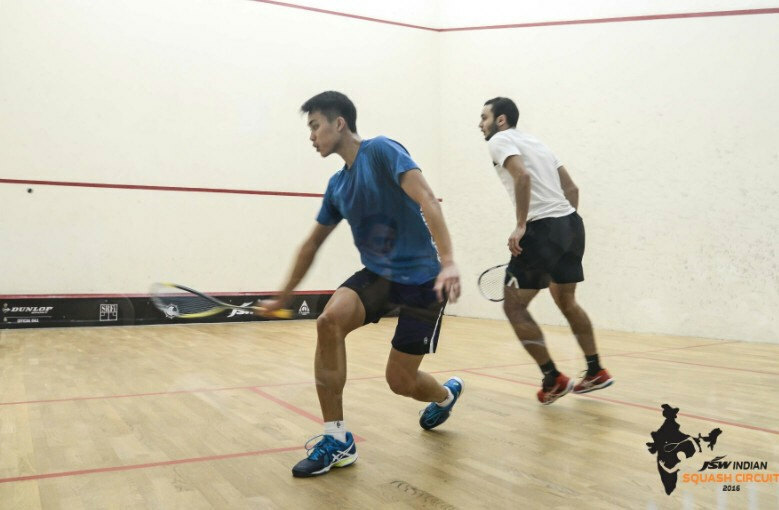 In addition to the matches, the organisers are also lining up master classes for the squash enthusiasts who can participate in them through a special promotion on 94.3 Radio One.